We are an independent motion picture producing and development entity headed by husband and wife team, Paul and Gretchen Gray. Located on the Central Coast of California, with an office in Beverly Hills, the company is devoted to the development and production of original digital movies and interactive projects. A network of Atelier film artists from around the country have contributed to the company’s projects, many of them on-line. February 20, 2009: Public preview of "Everyman" sponsored by the San Luis Obispo Art Center scheduled in San Luis Obispo, California. January 31, 2009: Final edit of "Everyman" completed. Print locked. May 1, 2008: New Atelier Pictures wesite launched. May 5, 2008: New film, "The Ballad of Dorothy Dunn," complete. May 30 & 31, 2008: HopeDance Special Screening of The Ballad of Dorothy Dunn. July 17, 2008: North County Democratic Club screens THE BALLAD OF DOROTHY DUNN as a Feed the Hungry fund raiser. August 4, 2008: Internship openings announced by Atelier Pictures. August 11, 2008:Post production phase begins for EVERYMAN, Paul Gray's post apocalyptic adaptation of the Medieval mystery play. 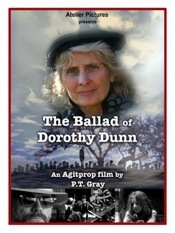 October 18, 2008: "The Ballad of Dorothy Dunn" goes national! DVD release set.